In What To Know When Applying For A Merchant Account, we went over some factors you should consider when you’re applying for a merchant account. 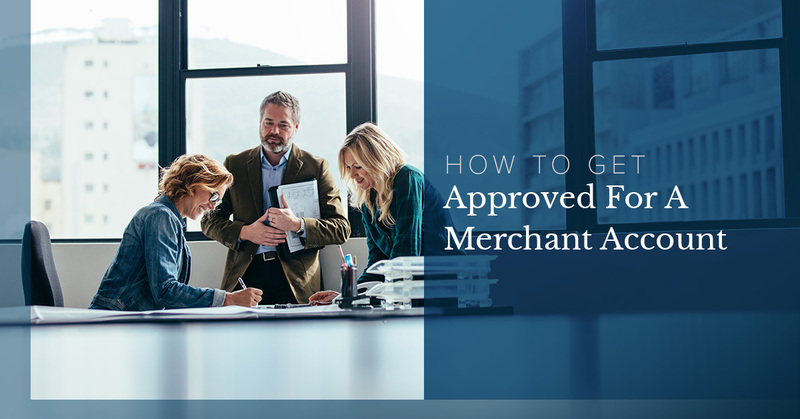 In today’s blog, we’ll be going over how to increase your chances of getting approved for a merchant account. While it can be more time consuming than you’d like, if you want to get the right merchant account for you, then you need to do some extra work to increase your chances. Whether you’re a new or an old business, this blog will help you increase the possibility of opening a merchant account with the bank you’d like. At Journey Business Solutions, we strive to provide you with the necessary information to push you toward success. While we can’t do everything for you, we can offer you merchant services and payroll ones to ensure your business is efficient. As a merchant credit card processing company, we want to help your business grow and we want you to succeed. When you decide on our small business, you’ll be working with a business that’s similar to yours and will help you achieve the goals you want. With access to credit card acceptance and loans and lines of credit, you’ll be able to have the help you need to succeed while you concentrate on furthering your business. Do you want to open a merchant account at the bank you want? Do you want to increase your chances of getting that application approved? We’ll help you become a more eligible company to obtain a merchant account with these attributes. If this is your first business or you want to change your merchant service provider, then we can help you increase your chances by going over what you need to do to make your company a better option. If you have any question or concerns about merchant services or accounts, then feel free to contact us at your convenience. We cater to small to medium sizes business in Fort Worth, TX, and the surrounding areas. The first thing you’ll need to focus on is increasing positive credit ratings. A positive credit rating will be a huge impact on helping your business get a merchant account. You’ll want to eliminate any bankruptcies you may have experienced in the past. You’ll want to remove late liens or payments from your credit report before you decide to start the process of applying for a merchant account. In addition, you’ll want to get the credit report as well as the contact of the credit report from the credit reporting bureau. You can work with these companies to explain that the matters of bankruptcy and late payments have been cleared up and if they can be removed from your credit report. Regardless of the size of your business, if you have a good credit rating, then your changes will increase and you’ll become a more favorable candidate. Being transparent when applying for a merchant account will definitely help you in the long run. You’ll want to be honest about everything from liens to bankruptcies. If you’re an older business, you’ll want to be honest about previous merchant accounts. By showing your transparency, the bank will acknowledge any past financial challenges as well as take note of the honesty. While acknowledging your past financial challenges, you’re showing that you have the credibility and the drive to want to open a new merchant account. You’ll also encounter one less barrier because you’re not trying to hide information that is already accessible to the bank anyway. To help you become eligible for a merchant account, you should take the time to gather your financial statements. They are going to be the best tool you have to help you become a better candidate for a merchant account. You’ll have the leverage you need to bring to the table with your financial statements. Regardless of the size of your company, by showing the company financial statements, you’ll show the bank that you have a substantial and successful operating business that has the stability it needs to see a fortunate future. As a small business, we want to help other small businesses succeed. We offer our merchant services to help you achieve your dreams. If you’re interested in working with our business, then take the time to contact us today.